How is that possible? You suffer from back pain since years, your doctor tells you to take a pill with no active ingredient (placebo pill), you take the “fake pill” and the pain disappears….. These are the findings of a new study recently released in the Journal Pain. 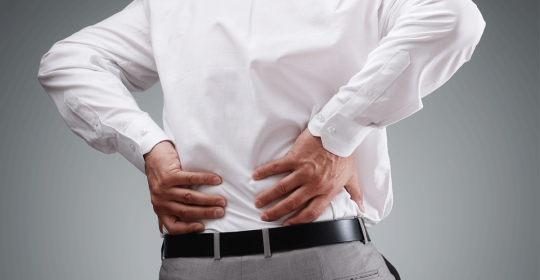 Millions of people worldwide are suffering from chronic back pain. In some cases, the treatment options are limited and even with high doses of strong pain killers (opioids) the pain seems not to be under control. Moreover, patients are suffering from severe side effects such as addiction. This makes it even more interesting that a pill filled with microcrystalline cellulose (no active ingredient) is able to reduce the pain. The placebo-effect is a well-known and powerful tool in medicine. Surprisingly this new study could show that the placebo-effect even works when the patients are aware that they take a “fake pill”. Even more surprisingly the placebo pill had greater effect than the treatment as usual (nonsteroidal anti-inflammatory drugs (NSAIDs) or acetaminophen (paracetamol). The placebo pill could reduce pain and pain-related disability. The fact that the patient was informed about the placebo use, could solve an ethical problem that goes along with the use of placebos. However, further investigation is needed to investigate the effect and the impact of the setting the pill is prescribed. In any case the power of the mind is a powerful tool that should not be neglected in the treatment of chronic pain conditions. Previously released studies could show that CBT and other forms of psychotherapy may have similar effects.